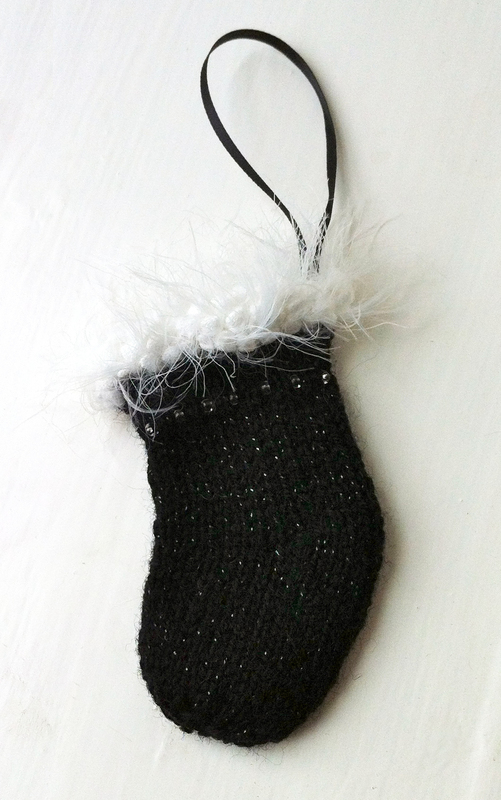 OK, I know it’s early, but I have just revised my Christmas Stocking tree decoration pattern, knitting it up in some funky new yarns with fluffy bits. It’s just the right size to hold a chocolate or two and hang on your tree. 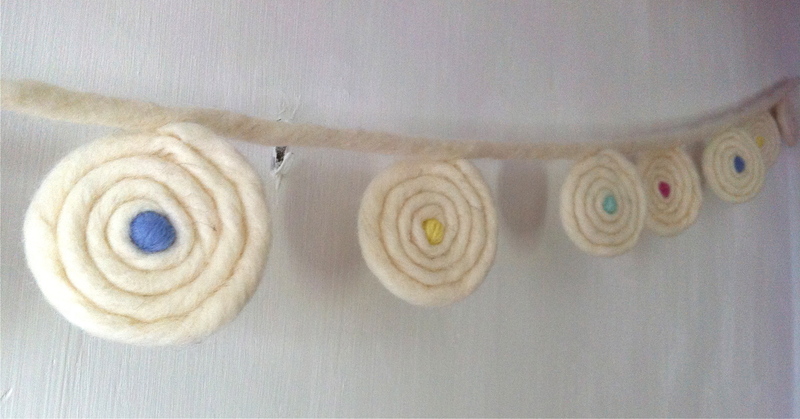 Or how about hanging them in a row across the mantelpiece? It was quite hard to take a picture of the black one. It’s actually black with twinkles on it, a row of clear beads and a very fluffy white top edge. The pattern is a joy to work: knitted straight with some very simple heel shaping and one seam to finish. Curiously enough I seem to sell my Christmas Decorations patterns all year round. 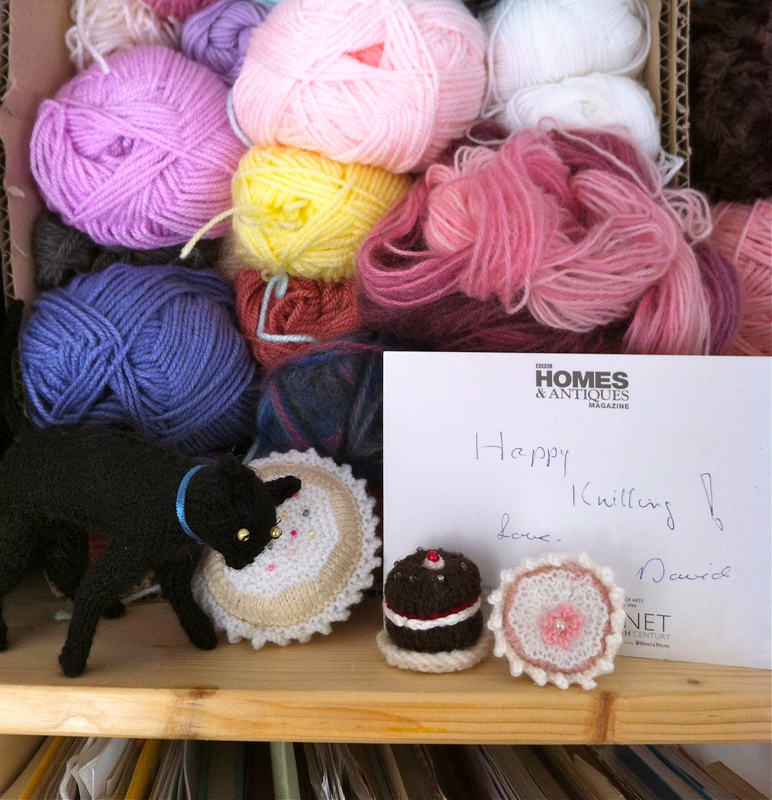 I think knitters must be pretty well organised! 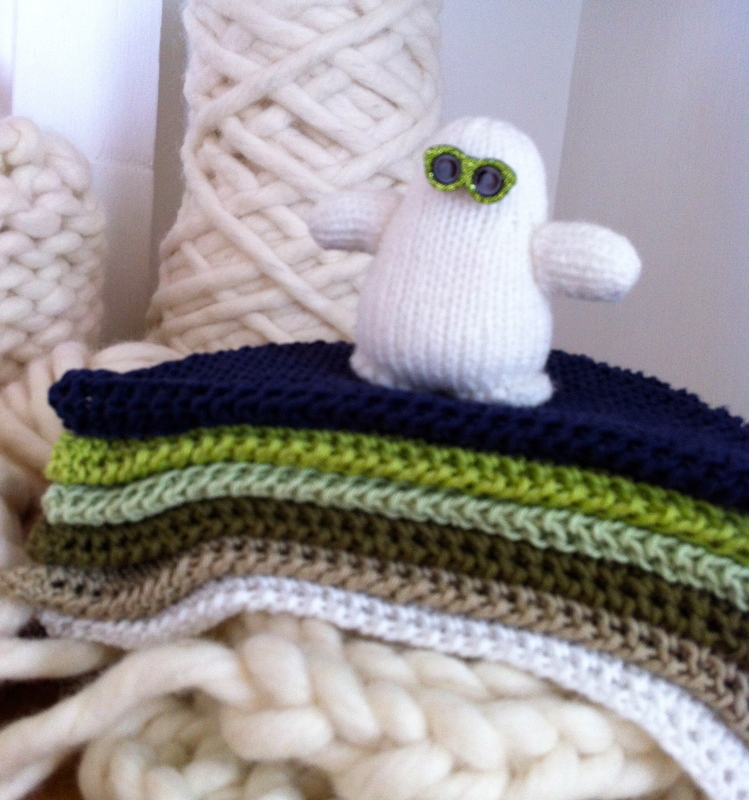 Are you working on any seasonal knitting yet? Sometime in July 2012 I started this blog. I am a little bit late with the anniversary but I wanted to briefly review the first year. Eagle-eyed followers will have noticed I have changed my logo and header. I was dreading doing this as I remember struggling with it for hours when I first set up my blog. But I managed to change my header in two ticks, which just goes to show how much I’ve learned in my first year. 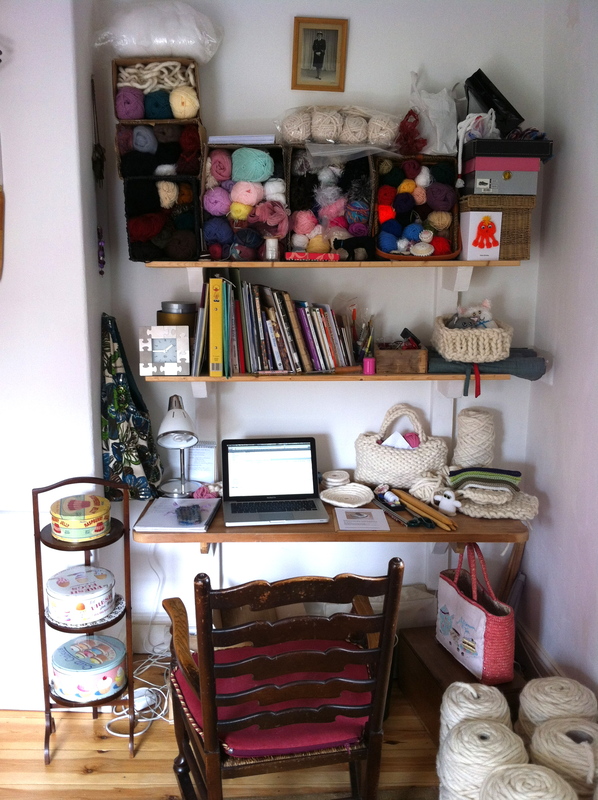 My focus has changed from cupcakes and patterns, to extreme knitting: big and bold baskets, bags and containers. 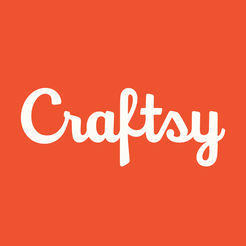 But my original cupcake design is still doing well, and it makes a cute picture, so I’ve kept it in my new logo. I am very excited to have opened a store on the fantastically re-branded and re-launched notonthehighstreet.com. This is a great opportunity for me, and it couldn’t have come at a more opportune moment, as my day job is coming to an end. Exciting and terrifying times are ahead, as I find myself back in the job market after 20 years of continuous employment post-degree, with a regular salary for all that time (no career break). I don’t really want to re-enter the corporate world, but on the other hand my OH is already self-employed, so there are some difficult decisions to be made in the coming weeks. I feel excited and completely terrified at the same time. But change is good for us, and it’s about time I experienced some change, that’s for sure. 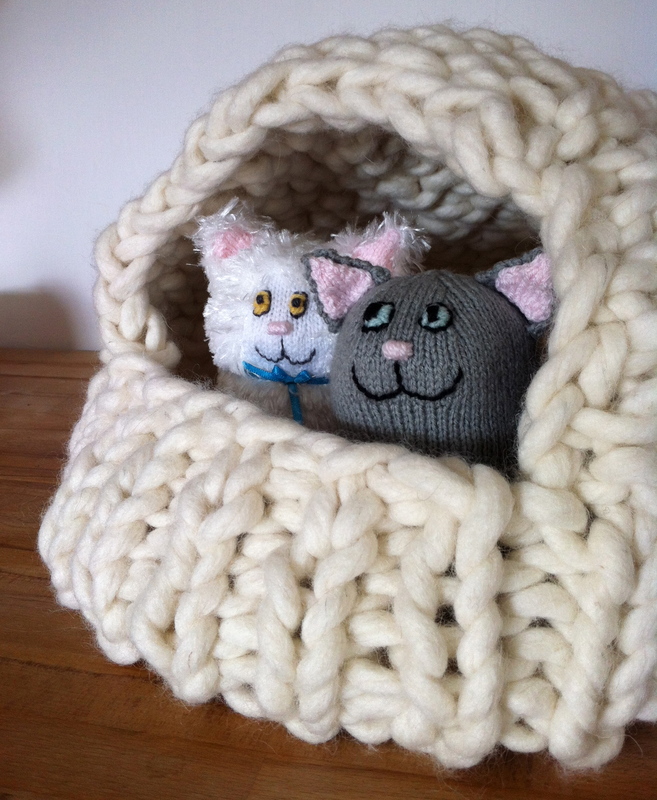 I knitted a cat basket with a hood, to make a cat cave or cat pod. As it’s based on my smaller basket, my cats are way too big to fit inside. Although Monty tried… he really tried to coil himself in, but he just ended up rolling it over onto the roof and tumbling out….oh if only I had filmed that, it cracked me up. So I got the two Shelf Cats to model the new Cat Cave for me.